On July 4th people across the country express their American patriotism by celebrating Independence Day. A quick history refresher- On July 4, 1776, the Declaration of Independence was officially adopted, declaring the 13 colonies liberated from England. Below is some information you might find useful in commemorating this Independence Day. FIREWORKS- What is legal and what’s not? The 4th of July is all about fireworks. In Florida, nothing airborne or exploding is legal including shells and mortars, tube devices, Roman candles, rockets and even firecrackers. Although, you can legally purchase fireworks if you sign a waiver. The waiver states that you will be using the fireworks to scare away birds from agricultural products or fish hatcheries, according to Florida Today. Lying on the form is a first-degree misdemeanor. Illegally using fireworks is also a first-degree misdemeanor, punishable by up to one year in jail and a $1,000 fine. However, sparklers, snakes and party poppers are legal. Keep in mind, there is still a risk of injury using sparklers. The U.S. Consumer Product Safety Commission (CPSC) reports 8 deaths were caused by fireworks in 2017 along with 12,900 emergency-room related injuries. Sparklers were the number one cause of injuries. Keep a bucket of water close by or a garden hose. Don’t light anything on dry grass, look for a flat surface. Never try to re-light a “dud” and light one item at a time. Do not use unwrapped items or items that may have been tampered with. Only purchase fireworks from a licensed vendor. Light up in an open area. Never allow young children to play or light fireworks. Keep any part of your body from being directly over a fireworks device when lighting the fuse. More people are killed in car accidents on Independence Day than any other day of the year. “The staggering amount of traffic contributes to that grim statistic, reminds Buck with GreatFlorida Insurance, Florida’s top independent homeowners insurance and car insurance agency. Along with a high traffic volume, drinking and driving adds to dangerous road conditions. Alcohol also exacerbates dehydration, intensifying the effects of alcohol and causing drowsiness. Distraction from fireworks, is likewise a source of car accidents. 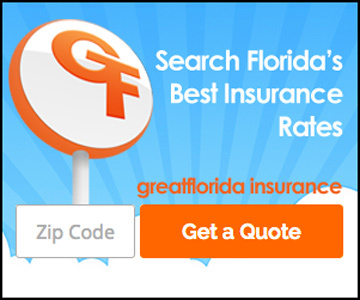 GreatFlorida Insurance is available 24/7 to help with your insurance needs. We offer quality and affordable homowners insurance coverage to Floridians across the state. Call us at 1-888-478-7801 or check us out online at www.greatflorida.com.